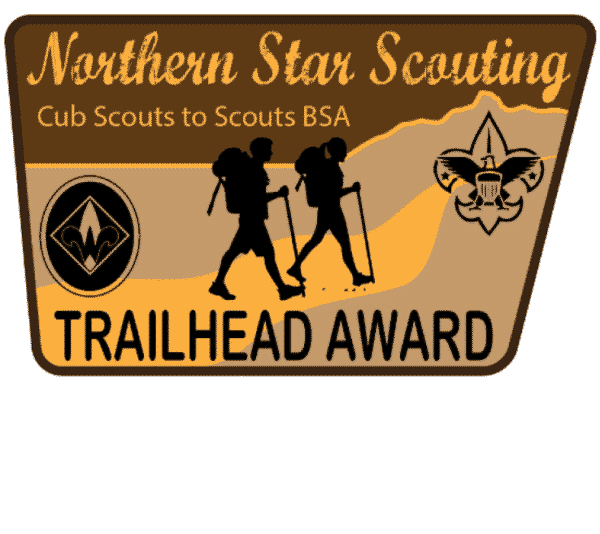 The Trailhead Award recognizes those Webelos Scouts who have gone above and beyond their Arrow of Light requirements and have a strong start on their Scouts BSA adventure. The pack and troop must work together to ensure that all Webelos transitioning into a troop have the opportunity to enjoy the complete Scouting adventure and earn this award. The progress card (available below) should be presented to the Webelos Scout when he or she earns the Webelos badge. The den leader verifies the completion of the first 3 requirements and the troop leadership signs and dates the completion of the last requirement.